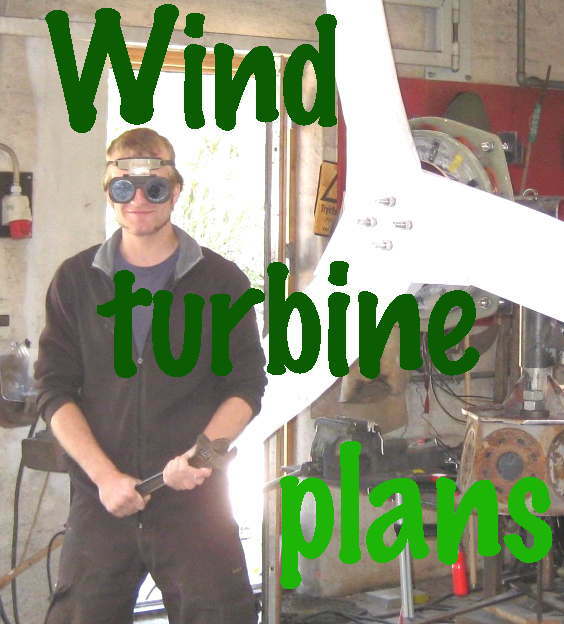 I am very ready to chat and help decide whether you have a good site and how to use a turbine. 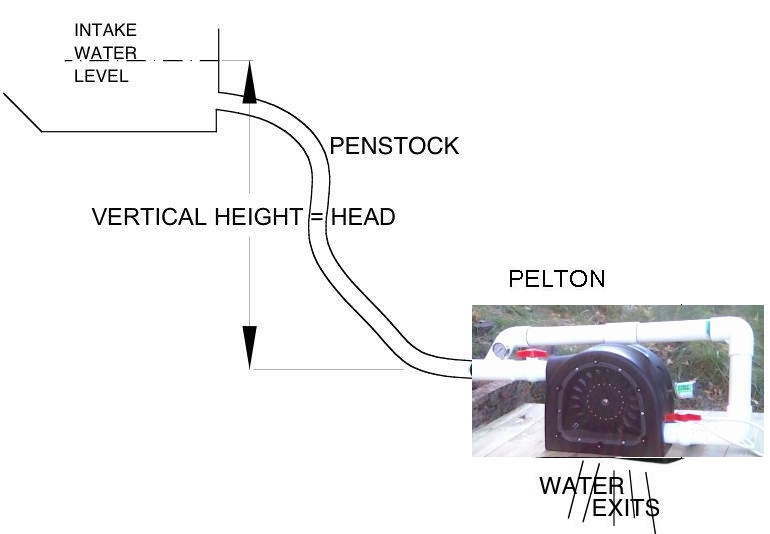 I help to design hydro systems for people all over the world and arrange delivery. Powerspout turbines come in 3 models to suit various sites with various heads. To choose which one will work best you must first have an idea of the head of pressure available. This is the vertical height difference between the intake and the turbine. This chart shows how much energy you can get from a single turbine, given the available head and the flow. The three models are in different colours. See below for videos of the various turbine models. The power output (in watts, which is the rate of energy production) will be roughly five times the head, times the flow. So for example if you have a head of 10 metres, and 10 litres per second flow of water, then you can expect about 5 x 10 x 10 = 500 watts of power. Multiply by 8760 hours in the year to get annual energy production. A typical UK home uses around 500W on average for 4,400kWh per year. If you understand these matters and want to quickly assess the feasibility of a site, then you should go straight to the online calculator on the Powerspout website. Here is a the manual for the calculator if you need that. This will allow you to design the whole thing including the pipe and the cable. At the end you can enter your email and have the result sent to you. If you want further help from me then you should also choose “Scoraig Wind Electric” in the drop-down menu for dealers. That way I get to see your data, and can advise on the best choices. Contact me and I will provide extra information. Here is a site where we have uploaded lots of documents for you to read. Everybody wants to know what it will cost of course so here is a link to the new shop web site with all of the prices and details of the options and extras. Note that shipping is free for orders over US$1,818 (£1,370) but only up to a 29kg limit. The shopping basket will tell you how heavy your order is. The price of the basic turbine is GB £1,230 but it makes sense to get some spares and/or accessories. DHL will charge VAT and import duty on arrival. I can offer trade discounts for genuine trade enquiries (installers, resellers). I can bill you in euros € if you prefer. The turbine is only part of the whole system that can give you 24-hour power, on or off the grid. I can advise how to put a system together. Microhydro is a very rewarding form of renewable energy in terms of what you get from what you put in, because in most cases it runs for a much larger percentage of the time than solar or wind. I have designed and installed numerous systems over the last 20 years. I would use one myself if I had a suitable site! In the UK it is possible to claim a “feed in tariff” for hydro power. See this page for details. I can advise on the technical aspects but I am not strong on the institutional stuff. I am more of an off-grid specialist and most of my customers are off-grid, either here in Scotland or around the world. I can design and specify everything you will need and also supply much of the extra stuff at competitive prices. While it is also possible to claim feed in tariffs in an off-grid UK system, I don’t know of anyone who bothers to do this. I can advise on the technical requirements. We are an institute / organization of five major sites here in Durban South Africa with a further twelve more sites nation wide. We are on the verge of changing over to Hydro Electric and are interested in your product the POWERSPOUT. I have a dam which used to feed threshing machine. It has constant flow and looks like it could do hydro power. The old water wheel house and undershot race is still there but the wheel and leet are no more, though could be reinstated. Could I come and see your farm. I do not know how to get power from turbine to the switch. Distance of about 3 m other side of a wall.. Is there anyone near Huntly Aberdeenshire who has one I could see? I am not looking to feed the grid! 1. Using the micro-generated electricity to trickle heat out air source heat pump water tank which already has an emmersion coil in it – thus raising the ambient temp and using less bought electricity to heat the system. 2. Feeding generated electricity via our solar PF converter and receiving FIT for it. 3. Directing all generated electricity directly to the studio building and using it to directly trickle heat that. I appreciate these queries may not be in your are of expertise, but any thought or ideas would be welcome! If you are on the grid and have reasonably high self-consumption as in your case then the best solution is to use a grid-tied inverter to feed the hydro power straight into your house consumer unit. If in doubt then it’s worth hiring a solar installation electrician to do this safely. Not all solar inverters work well with hydro power. We strongly recommend Ginlong Solis or Enasolar inverters. If you want the best technical support for your Ginlong then I suggest buying from Voltsys or from your installer. I run a 3,000 gallon koi pond,with a variable wattage pump,max 20.000 LPH,ultra Violet lamp,and two air pumps,even with 3.2 Kw solar panels it’s becoming expensive to run. Using a pump to drive a turbine is never going to make you any surplus energy, sorry. Each stage of conversion has some losses, and in the end you will lose out. The PowerSpout is brilliant for situations where you have water running down a slope in suitable quantities (big slope or plenty of water or a bit of each). You need to have that flow of water occurring naturally and then this is the way to make it work for you. Would also like to travel somewhere to someone’s set up and pick there brains, I am based in Prestatyn North Wales and have a car! So far I have emailed the Welsh Powerspout rep without much luck, Now I’m trying the North West aswell as this one too. Need price for whole works really, pipes, cables, generators, etc. Sorry I have been unavailable lately due to holiday and am now in flat out catch up mode. I am very happy to advise about your site. Send the video using http://www.wetransfer.com to my email hugh@scoraigwind.co.uk and phone me (again, better luck) on 077 1315 7600 for a chat. Westflight is good so keep trying with him too. But I am very happy to assist if you are installing it yourself. I mainly specialise in off-grid DIY, and in assisting trade enquiries.